Digital disruption: how is it changing business models? Developing a digital strategy: how to build a digital roadmap? 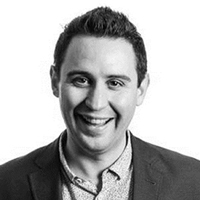 James Prebble is a highly experienced digital consultant with 15 years of extensive digital strategy and transformation experience across a wide range of industries and sectors. A digital expert, he works with businesses to facilitate business change and development through implementation of digital strategies and processes. James has significant experience supporting digital lead generation, customer strategy and digital service implementation programs for the Retail, FS, Life Science, Leisure and Transportation sectors. "The course was a real eye-opener into the core areas we should be focussing on whilst conducting digital due diligence. I was previously unaware of the depth and breadth of company and market digital insight that can be obtained without any target company knowledge, all using clever digital tools. I will now strongly consider pure digital due diligence as a core part of future transaction processes"